sutra – in Indian spiritual traditions, a teaching, scripture or sermon. Patrick Shiroishi has a couple of solo albums entitled “Black Sun Sutra” and “White Sun Sutra”, both recorded at the Wallace All Faiths Chapel in Orange, California, and both having a certain ritualistic quality, seesawing between elegy and ecstasy. This version of the Black Sun Sutra sees the personnel rounded out to quintet size for a concise, high-energy meditation on order and chaos, also recorded in a Californian church. Possibly in line with a Buddhistic theme, the opening track contemplates Human Suffering. The repeated sax refrain and growling arco bass are almost stately, laying out the foundation on which increasing amounts of energy will be layered. Guevara’s guitar adds splashes of light to the void. Sanchez’s drums signal the approaching storm. As the density increases, the chaos builds into a full-on free jazz blow up. Not sure it’s a complimentary portrait of human nature but it’s an exhilarating piece of music. The droning baritone on Don’t Truth me And I Won’t Truth You offers an increasingly tenuous melodic lifeline as atonal guitar and frenetic drums whirl. Everyone here is reaching for their own individual piece of heaven and the resulting mash is rather glorious – even at its most frantic, enough space remains to focus in on each of the musicians or just pull back and take in the whole. Playing free but unlike the full-on noise route that many adopt nowadays this quintet aims for a more delicate balance, embedding accessible shards of structure and melody in the assault. On Athialowi the forces of order take a stand as jaunty math/jazz-rock guitar leads off against deceptively simple drums and bass. Meanwhile the saxes converse and intertwine in a bubbling, ascending dialogue. Stand Up…’s earworm baritone riff and heartbeat bass drum anchor free-er playing from the rest of the unit; the relentless and retro riff, together with the leering guitar line, evoking some other-dimensional louche jazz lounge but with the syrup replaced by a more astringent edge. The closer Esteemer (also on Shiroishi’s “White Sun Sutra” album) is a solo saxophone lament that makes full use of the ecclesiastical acoustics. Initially, the lyricism feels a little out of place, a little too pure perhaps given what’s gone before but in fact, it works well as a poetic final statement, leaving the whole album a yin-yang representation of chaos and order and the transitions that can be achieved between them. To complete the circle, just put the disc on repeat and Esteemer will segue back into Human Suffering. 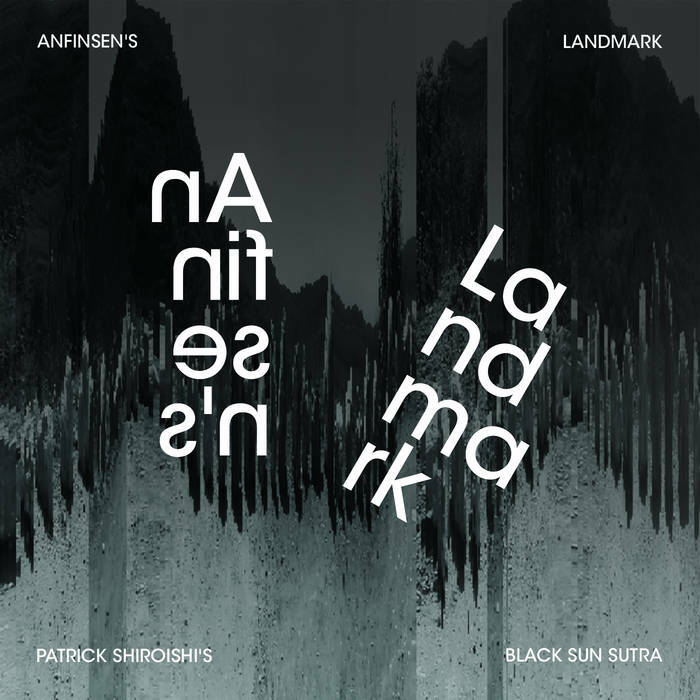 “Anfinsen’s Landmark” is available on Bandcamp.